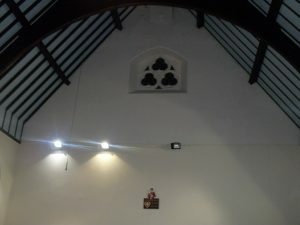 We purchased the former Howe Church building in Castle Street, Great Torrington in Febuary 1996. 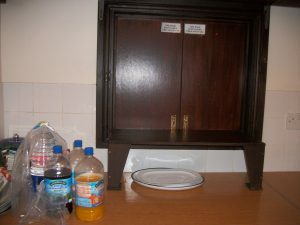 Following extensive renovations it was officially opened during Mayfair in 1998. The purchase was funded through anThe Arts Council Grant for £91,700 with additional monies coming from various local donations and band funds. 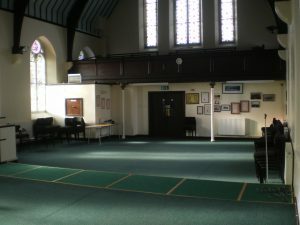 In total the entire project to provide Torrington Silver Band with it’s own permenant premises to practice and perform cost in th region of £120,000. Our address is Torrington Silver Band, Howe Concert Hall, Castle Street, Torrington, EX38 8EZ. 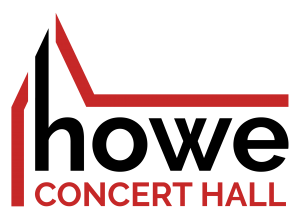 Howe Concert Hall is available to hire. 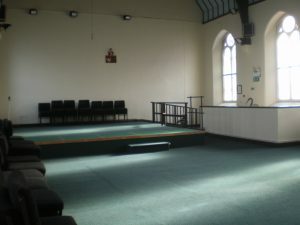 It’s central location at Castle Street, Great Torrington means that it is perfect for various types of events. 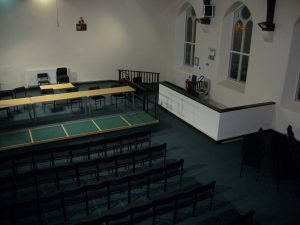 It features a large raised stage area which is ideal for performances and meetings alike. 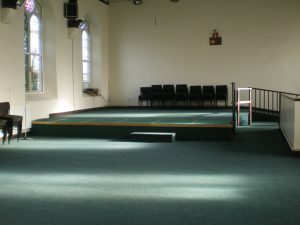 The hall can house up to approximately 150 people, and has a large floor space on the main floor which can be used in many different ways depending on your requirements. 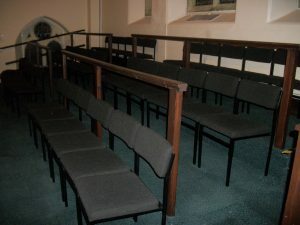 It also has a balcony providing additional seating. 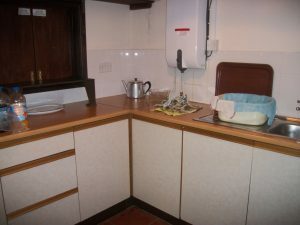 The hall also offers a small kitchen with amenities to make refreshments. 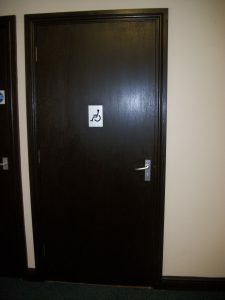 Toilets are also on site with an easy to access disabled toilet. 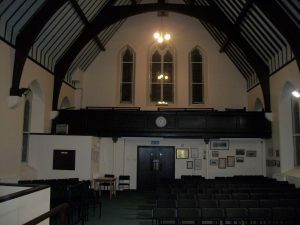 If you are interested in booking our hall, click here to contact us for more information.